#StillNoLatinas at SNL, but will that ever change? Amid protests demanding that NBC "Dump Trump" as host of Saturday Night Live this weekend, Latino protesters are also shining a light on another issue: the lack of Hispanic cast members on the show. The show has had Latina hosts, including Sofia Vergara, Jennifer Lopez, Cameron Diaz and Eva Longoria, but lately its Latina characters have been played by the actress Cecily Strong, who is not Latina. Strong's characters, including the clueless political activist Mimi Morales, have often fallen flat with Latino audiences for playing into crude stereotypes. But whether demonstrating against the show will actually lead the show's creator Lorne Michaels to hire more Latinas for the cast is unlikely. "Lorne Michaels has said to me repeatedly that when he casts, he casts the best people," said Bill Carter, a CNN contributor and host of a Sirius XM radio show about the media. "If there is a best person who is Latina he will cast them, but if not, he wont cast them." Carter said. Felix Sanchez, the chairman and co-founder of the National Hispanic Foundation for the Arts, one of the groups supporting the protests, questioned the logic of not being able to find Latina talent for the show. "In 41 seasons, you mean to tell me that he cannot find one Hispanic female to cast? In all that time, only two Latinos were the best and the brightest in the comedy field in the country?," he said. The lack of Latino cast members has also prompted the creation of Twitter hashtags, #StillNoLatinos and #StillNoLatinas, that play on the show's SNL acronym. SNL did not immediately return a call seeking comment. 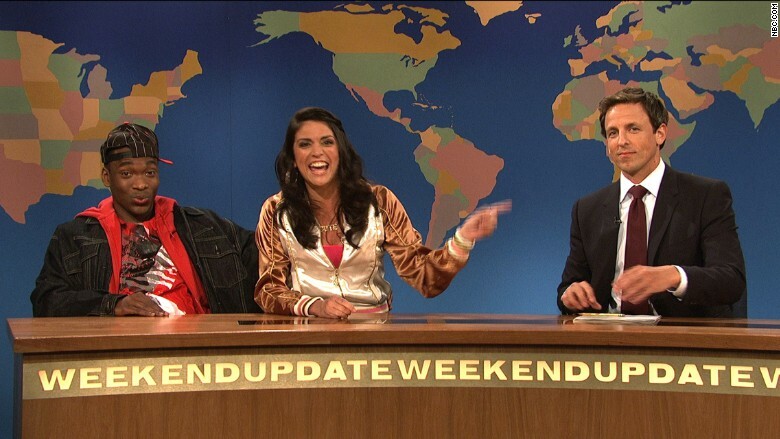 Cecily Strong plays most of SNL's Latina characters, including clueless political activist Mimi Morales. This isn't the first time the show and Michaels have been taken to task for a lack of diversity on the set. Several years ago, viewers became outraged at the lack of African-American women cast members. The calls forced Michaels to cast a wide net for more black comediennes. In the end, the show added Sasheer Zamata to the cast and hired Leslie Jones and LaKendra Tookes as writers for the show. Jones has since been promoted to the cast where she appears on Weekend Update and in other skits. Regardless, Hispanic advocacy groups including the National Hispanic Foundation for the Arts are planning to continue putting the pressure on. Holding out hope that SNL would rescind its offer to Trump before the show airs this weekend, protesters hope to strike at SNL's advertisers next with meetings and additional protests, said Sanchez. "If [Trump] does appear we will focus in on the sponsors and remind them of the $1.5 trillion that Latinos have in spending power in this country alone." Mark Hugo Lopez, the director of Hispanic research at the Pew Research Center, noted that Latinos had successfully wielded their economic power against Trump in the past. Two weeks after Trump made incendiary comments about Mexican immigrants, Macy's pulled Trump merchandise from its stores. In July, José Andrés, the famed Spanish chef, announced he was pulling out of a deal to open a restaurant in one of Trump's hotels. But beyond those examples, Lopez said he was skeptical about how much of an impact the protesters would have on the show's advertisers. 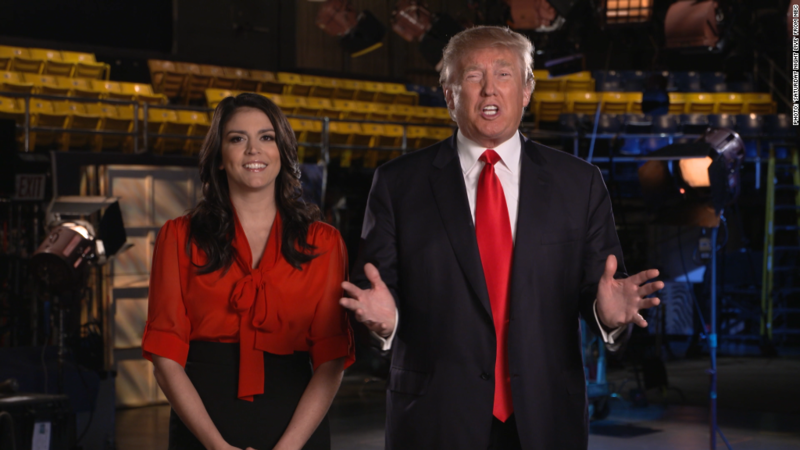 "It's possible that this could be an evening where Saturday Night Live has one of its highest ratings because of Donald Trump," Lopez said. For the most part, Latino viewers aren't watching the show, anyway. According to data from Nielsen, SNL did not even rank among the top 26 English language shows Latinos watched in October. As a result, SNL may not be too worried about the current backlash, said Federico Subervi, a retired communications professor from Kent State University who has studied the Latino media market. "They are going to do whatever they think is best for their ratings," Subervi said. "They are not here to have social justice or do a better service for their community. They are there to make money." Instead, SNL will most likely find a way to address the controversial comments that Trump has made, particularly about Mexican immigrants, said Carter. When SNL came under fire for not having any black actresses, Kerry Washington performed a sketch where she lampooned the issue by playing both Michelle Obama and Oprah. Laura Martinez, who blogs about Latinos and media, said the protests were much ado about nothing. "SNL shouldn't be the focus of Latinos' anger right now," Martinez said. "I don't think they are going to lose advertisers. I don't think Latinos are their target audience," Martinez said. Latinos should be focused on issues like education and healthcare instead of focusing on a show that doesn't see them as a priority, she added. Sanchez disagreed emphatically. "It's a point of principle," Sanchez said. "It seems incomprehensible to us that if these remarks were made toward women or toward the African-American community or the LGBT community that there would be a huge uproar about the kinds of hateful remarks he has made."